Meet the 2016 Tackle Coaches | American Pride Youth Football League - Football and Cheerleading serving Dale City, Manassas, and Woodbridge. 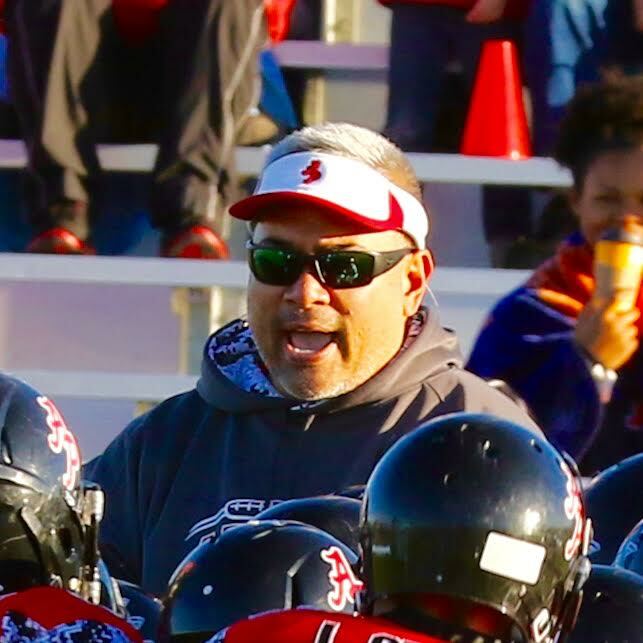 Coach Blount is going into his 15th year of coaching youth football and his 9th season with American Pride. Before joining APYFL coach Blount served as a coach and commissioner at Woodbridge Youth Football League (WYFL). Discipline, hard working, and toughness are just 3 of the characteristics that his teams will always have. Coach Blount credits his dedicated coaching staff, loyal parents and players over the years for his continued success. 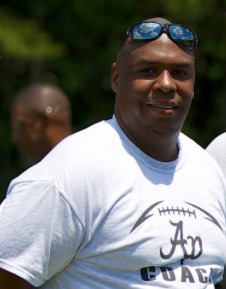 Coach Blount currently serves as Director of Player & Coach Development for APYFL. He is also a returning 7/8 flag and 80 pound tackle coach. He is happily married to his wife Aishah, and they have 4 children. 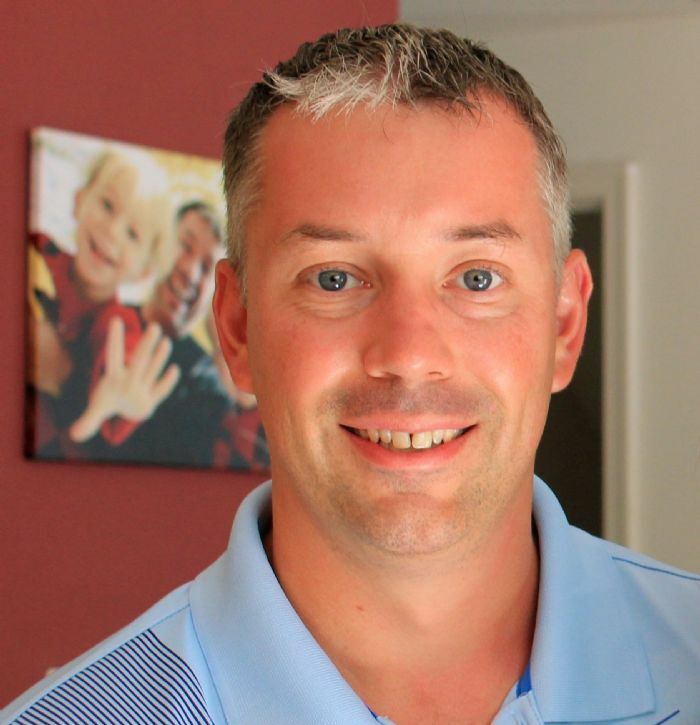 Coach Mike Mutkus has over 15 years’ experience coaching youth sports. He is entering his 12th season as an APYFL coach, coaching during both the tackle and flag football seasons (24 total seasons). During this time, Coach Mutkus has coached in 11 division championship games culminating in 7 division championships (tackle and flag), while making the playoffs in all 24 seasons. 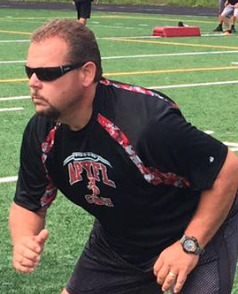 Coach Smoot is entering his 8th season as a football coach and will coach APYFL's 90 American team in 2016. He has experience coaching the game as well as playing the game. This will be his fifth season with APYFL. He believes that football should be played with passion and intensity while being safe and having fun. Craig enjoys teaching the right way to play Football as well as instilling lessons of leadership, courage, and toughness that the players can carry with them through life. He hopes to instill in his players a knowledge and love of this great game. 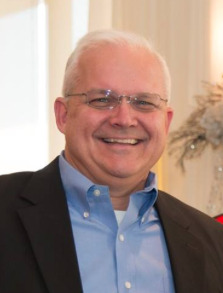 Craig has served on the APYFL Board of Directors for 3 years as the Parks & Recreation Director. As of 2016 he has been elected the Flag Football commissioner to serve our Flag Football program. Coach Smoot and his wife, Molly, have three sons Eddie, Jack, and Chase. 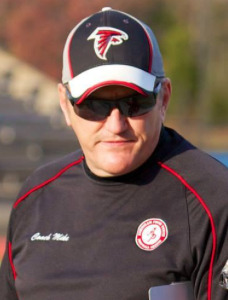 Coach Pulley is entering his 25th season coaching football and his 13th season with APYFL (joining the league in 2003). He is currently serving as APYFL’s Deputy of Coach and Player Development. Coach Pulley’s experience includes high school stints in Richmond, Va., Clovis N.M, and 5 seasons as the offensive coordinator at Saunders middle school as well as coaching the sprinters and jumpers for the regional champion boys and girls track team in the fall and spring. Coach Pulley has been a part of several APYFL milestones including coaching the first APYFL American level team as well as coaching the first American team to appear in the county championship. Coach Pulley also took the first APYFL flag team to Manassas in the spring of 2005 as a way for his players to stay sharp in the off season. APYFL started their thriving flag program as a club in the spring of 2006. Coach Pulley has had success on the field as his teams have either appeared in or won championships in 20 of his 24 seasons as a head coach or assistant. Coach Pulley believes that integrity is the fundamental building block of any successful team that operates in any part of life (doing what is right even when no one is looking). You should always strive to make your student-athletes better people and not just better athletes. Win the game of life! Away from the field, Coach Pulley works for Fairfax County Athletics and taught Weight Training, Youth Sports Administration, Sociology of Sport and Youth Sports Psychology at Northern Va. Community College from 2003 - 2013. 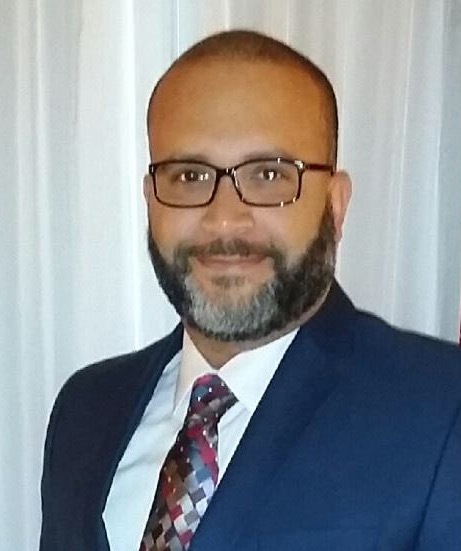 He is a current Doctoral candidate as well as a former certified ASEP instructor, and military veteran. Coach Pulley is married with six children – Cameron (20), Aaron (18), Mia (16), Jannelle (13), Quinton (10) and Whisper (4). Coach Westhoff has been with the league since 2010 and has served in various capacities both on APYFL’s board as well as an assistant coach for both tackle and flag. He has extensive youth coaching experience including football, basketball, and even tennis (where at one time he was a certified USPTA Teaching Professional). Coach Westhoff is passionate about football and passionate about American Pride – he believes that APYFL can serve an important role in developing our youth both on and off the field. His objective is to make sure every player has the “Total Football Experience” – having fun, learning the game, and developing both football & non‐ football skills (including hard work, accountability, and competiveness). Currently serving as APYFL’s Commissioner, Coach Westhoff will be returning in 2016 as an assistant coach at the 90lb American level for tackle and the 9/10‐age division for flag. Coach Westhoff and his wife Jeni have three sons who have played with APYFL over the years including their youngest son who returns as a 90lb player this fall. 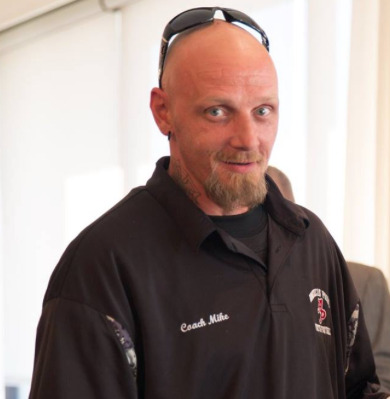 Coach Mike is entering into his seventh season as youth coach football where he coaches his son and his friends. Coach Mike started coaching at WYFL for 3 season where he was an assistant coach at the anklebiter level for 2 seasons. He was promoted to Head coach his 3rd season where he led his 75 National team to the championship game. Coach Mike has coach in NVYAA and is now back at APYFL. Last season Mike lead his 95 National to the Championship game. Mike believes that to be a good football coach you have to be dedicated and lead by example. He prides him self on helping young players develop good core values that they can use on and off the field. Coach Mike has also coached Flag football and baseball for 5 seasons. He has 2 kids in the program; Austin (Football) and ShyAnn (Cheerleader). Coach Robinson is a lawyer, former Navy pilot, married, and has four children. This is his 6th year coaching with APYFL, where he also serves as a member of the Board of Directors. As a young man, Coach Robinson played football in youth league, high school, and college. He has also coached youth baseball and youth soccer in Prince William County. Coach Robinson has completed the USA Football Tackle Certification and the Virginia High School League's Basic Coaches Education Course. Coach Estwick has been involved with the league for over 8 years. He has ~10 years of coaching experience in both assistant and head coach capacities. He was born and raised in Brooklyn / Queens, NY. He has 4 girls and 2 boys, 4 of which either currently play or has played in APYFL. 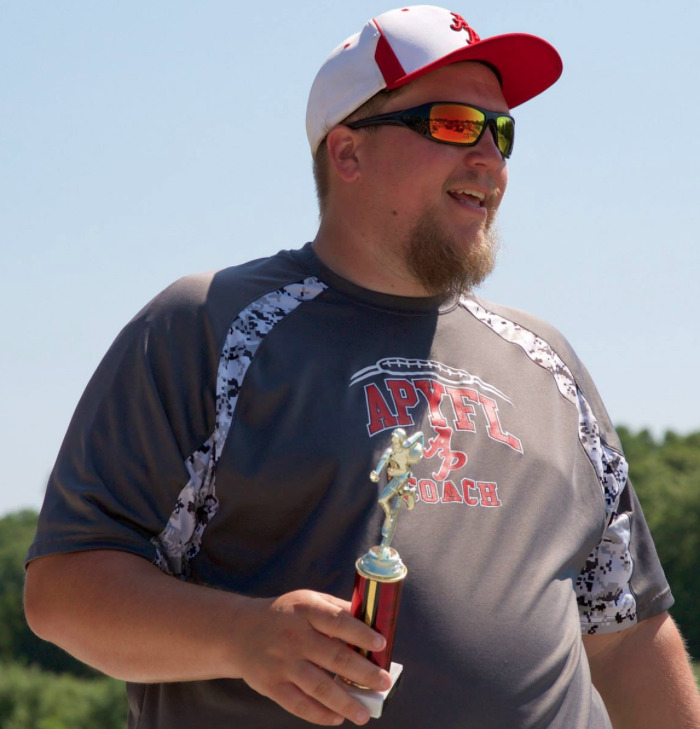 Coach Miller has been with American Pride since the 2006 season serving in both assistant and head coaching positions in the anklebiter, 80, 90, 115 and 130 divisions. He has coached on multiple playoff teams and won a championship at 80 National. Coach Miller has served on the board of directors as Vice Commissioner and Commissioner (2012-2015), and is currently serving as APYFL's Treasurer. Coach Miller is married and has two sons, both of whom aged out of APYFL and participate in middle and high school football and track and field. He also has prior youth football coaching experience in the Baltimore area. Coach Miller played youth and high school football beginning at age 8 and developed a life-long love of the game and the character lessons it teaches. As a former offensive and defensive lineman he understands the vital importance of line play and enjoys teaching line (big man) techniques. Coach Miller stresses the importance of fundamentals in player development and strives to pass along the character lessons he learned playing the game to the kids he coaches. JP De Gance has been a tackle football coach for 4 seasons and a flag coach for 2 seasons in the I9 program. He's the head football coach of St. Thomas Aquinas Regional School in Woodbridge and in 2014 helped guide the Crusaders to their first winning season since 2009. A fan of the single-wing offense, he works with the coaching staff at St. John Paul the Great to develop players for transition into the high school level. Outside of football, he's also coached youth soccer over seven years. A father of seven children, JP enjoys coaching and believes youth sports' greatest value is their ability to foster strong character in our kids. 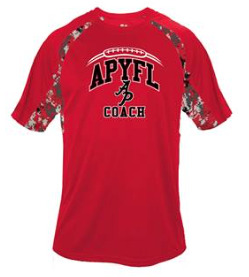 Coach Hunt is entering his 3rd year coaching tackle football with the APYFL; the last 2 seasons at the Anklebiter level. He is in his second season coaching flag with APYFL and has also coached 2 seasons with Gametime Sportz and 4 seasons with the DTQ baseball league. Coach Hunt played 4 sports throughout high school and eventually competed in 2 sports in college, ultimately being inducted into the Robert Morris University Sports Hall of Fame. Coach Hunt loves teaching the game of football, while instilling the value of hard work, teamwork, dedication and embodying being a student-athlete. He regularly honors kids for outstanding play and outstanding class achievements. His favorite quote to reinforce is “Hard work beats talent when talent doesn’t work hard.” His goal is that each of his players learns more about the game, competes to the best of their ability and has fun doing it. Coach Hunt is married to Timesha and they have two sons, Landon (8) and Rylan (6) . Landon will be entering his 3rd season, while Rylan, who will play his 3rd season of flag, is anxiously awaiting to “put on the pads”. Coach Mike Mainer is entering his 2nd season as a football coach with American Pride and was recently elected to the Board of Directors. Coach Mainer also has coached spring/fall soccer over the past 4 years and continues to coach in some capacity today. Having grown up in Alexandria, VA he played youth football for LFFL and soccer all the way till the end of high school. On the field he strives to teach the fundamentals that make a good football player while also teaching his players how to conduct themselves off the field. Coach Mainer believes that hard work and dedication pays off on the field but also understands when to make it fun for the kids as well. Typically at the end of year celebrations you will find Coach Mainer jumping on the trampoline, throwing water balloons or doing flips into the pool with his football teams. Away from the field Coach Mainer works for Verisign as an Interconnection Architect, ensuring the global access to basic Internet resources. You will find him attending and speaking at many of the major Internet conference or gatherings around the world, from San Francisco to New York to Hong Kong. Coach Mainer is married and has a set of twins currently playing everything from hockey to football. Coach Robinson is a Combat Veteran who has been coaching youth football for 5 seasons, entering his 2nd as an AB. In his last season he took his team to the championship game and the Metro Bowl, winning both, finishing the season with a record of 10-0. He was a three sport athlete excelling at football, wrestling, and track. He played football as a Fullback/Linebacker for 11 years including youth, high school, and semi pro. Coach Robinson believes in using your strengths to the fullest, while rounding out your weaknesses in the process. An experienced youth coach with an extensive football IQ, with a knack for motivating all those around him with his mentorship style. As a coach he teaches hard nose football, and that having heart determines our wins and losses on/off the field. His coaching style is very direct, and informative believing that a well-disciplined team is key to success. AATW!! Coach Johnson is entering into his first year of coaching youth football. Coach Johnson loves the game of football, and most importantly loves working with children. Coach Johnson is looking forward to gaining experience as a coach and taking on the challenge of motivating kids to play the game of football to the best of their ability while having fun. Coach Johnson’s ultimate goal is to prepare children to grow not only as potential athletes, but as people in general. Coach Johnson believes that he can achieve this by instilling the principles such as hard work, dedication, high energy, and a positive attitude with the intentions that these principles will carry his team through the remainder of their childhood into adulthood. Coach Johnson was born in Huntington, NY, and raised in Richmond, VA. Coach Johnson attended Old Dominion University earning a B.S. in Accounting in 2006. After college Coach Johnson relocated to Northern, VA. Coach Johnson is married to Katrina Johnson and has one child Alexander Johnson, Jr.
Coach Pleasant is entering his 7th year coaching youth football, and this will be his 3rd year as a head coach (100lb. American). After coaching at Springfield Youth Club for 4 years, he decided to make the switch to APYFL for the 2014 fall season and has been participating with the club ever since. Coach Pleasant has a very simple, but tested philosophy - teach this game and its fundamentals in a very competitive yet fun environment, and the kids will flourish no matter their skill level. He believes that part of that teaching is making EVERY kid understand that they all have a talent unique to themselves and that it our jobs as coaches/teachers to help them maximize that talent. Coach Pleasant is married to the unbelievably awesome Shanae Pleasant, and has 3 wonderful kids (Shantelle - 19, Daniel - 13, and Madisyn - 3). 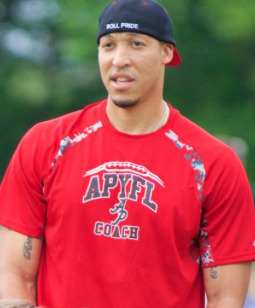 Coach Hancock is entering his second year as an APYFL Flag Football Coach and beginning his first year as a head coach. Coach Hancock was born and raised in Manassas, Virginia and played football as a tight-end for Osbourn Park High School. He also competed nationally as a 3-event water skier earning numerous Virginia State and Eastern Regional Championships. He holds an Associates Degree in Physical Education from Polk University in Florida, where he worked as an assistant offensive football coach for Winter Haven High School for one season. He also served as a coach’s assistant for the Polk University baseball team. Currently, he is the head coach of the 5th Grade Girls Basketball team at St. Francis of Assisi School and is in his second year of coaching girl’s basketball. Coach Hancock’s goal as a head coach is to educate the children in good sportsmanship and a solid understanding of the game of football. His greatest hope is that his players enjoy the game and develop a passion for football. Coach Hancock is married to his wife, Julie and they have one daughter, Samantha (11). His daughter Samantha is a returning APYFL Flag football player. Coach Brack has been coaching youth football for 8 seasons. He believes that while winning is important and one of the goals, it is not the only goal. His players are expected to play with aggression and intelligence, but to have extreme respect for their opponents. Coach Brack's ultimate goal is to build a solid foundation of skill and discipline in hopes that his young players will continue to safely and successfully play the game for many years to come. Coach Brack is married to his wife Jane. They have two children Benny (14) and Lindsay (11). Coach Chambers is a first year youth football coach, but does have some coaching experience as an assistant coach for U6 Soccer. He played organized football from his youth through his first year in college. Coach Chambers believes success is getting a group of kids to play together, as a team, play hard, and reach their ultimate potential while having fun. Coach Chambers' ultimate goals are to teach the kids the basic skills and rules of football while encouraging great sportsmanship, build self-confidence and character by offering a team experience, regardless of individual ability while stressing skill development and a positive attitude regardless of winning or losing; and finally and most importantly, provide a positive, fun-filled experience. Coach Santos is entering his third year with APYFL. Both years he has coached our 5/6 flag football team. Coach Santos played football in high as a "Cornerback and Free Safety". He starting coaching in 2010 for SYC. He coached both 95lbs and 105lbs division. His method of coaching is simple work hard, play hard. Kids this age all they want to do is run around and have fun, which he is all for but that being said someone has to get them ready for the big time, tackle. During his coaching of Flag he encourages them to be open and help him with plays that they can have fun with! He allows them to be silly when coming up with trick plays. Building confidence and sportsmanship is what he hopes to teach these young athletes. On his free time he loves to teach his kids Jayden, 6 and Julian, 3 to love the sport just as much as he does! 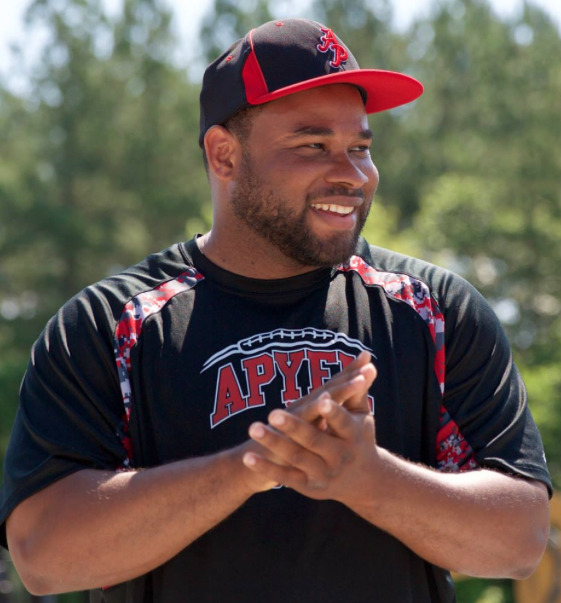 Coach Brown joins APYFL for his first year of coaching youth football. He is a product of the Gar-Field HS football program where he was a 4 year Varsity starter and a defensive standout. Injuries cut his senior season short and ultimately derailed a potential collegiate career. Entering the coaching ranks was a no brainer for Coach Brown. He hopes to instill the discipline and sportsmanship into his players the same way his former coaches did for him.